I wanted to share a bright and sunny card with you today that I made from FotoBella.com My Mind's Eye Lavender Bundle. Boy, I could sure use a little more sun. Since that is not going to happen were I live at the moment. I will settle on a bright and sunny card. I really like My Mind's Eye collections they are great colors and the embellishments are very well thought out. It makes this bundle so easy to use. I find when I use My Mind's Eye Bundles. I just keep using the embellishments until they are gone. This is rare for me with other lines. I have a few tips for you today. 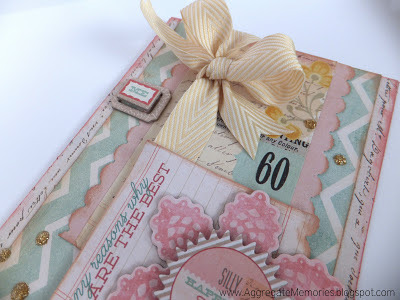 When creating layouts and cards, keep in mind that it is good to layer upon layer. 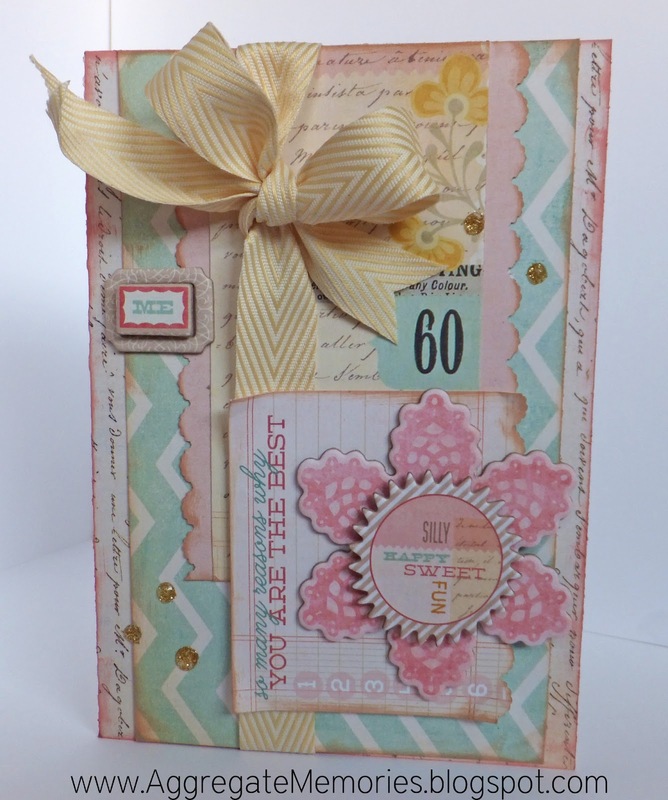 If you notice with this card I have done 7 layers including the base card. After the glitter glue has dried.... add some Glossy Accents to the top of your glitter dots to give your card more shine and dimension. This really makes the glitter POP. The only things that I added that are not in the bundle is the glitter glue, ribbon and dimensional tape. 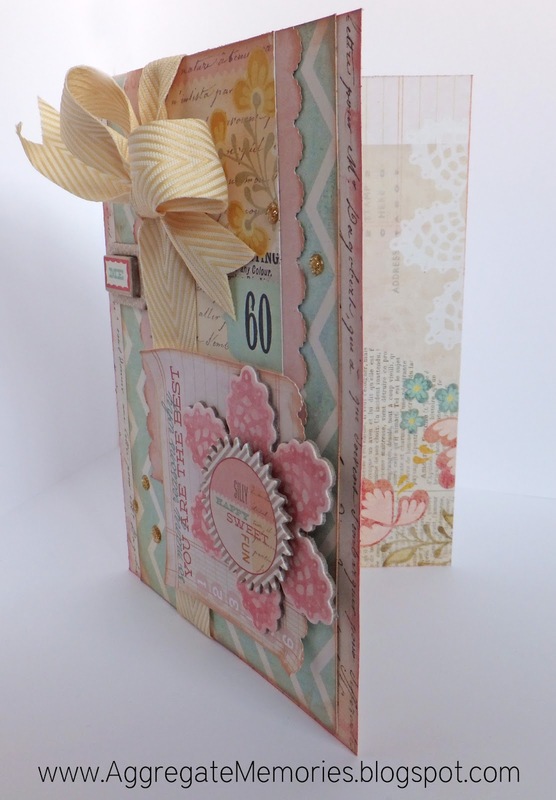 There is plenty of paper and embellishments to create 2 layouts and many cards. My hope is that this card will inspire you to make something.